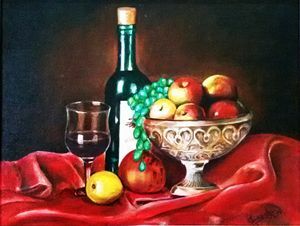 17x14in Still life with wine bottle wine glass, some fruit on metal basket. Original acrylic on canvas. Simple and beautiful suitable for dining room.